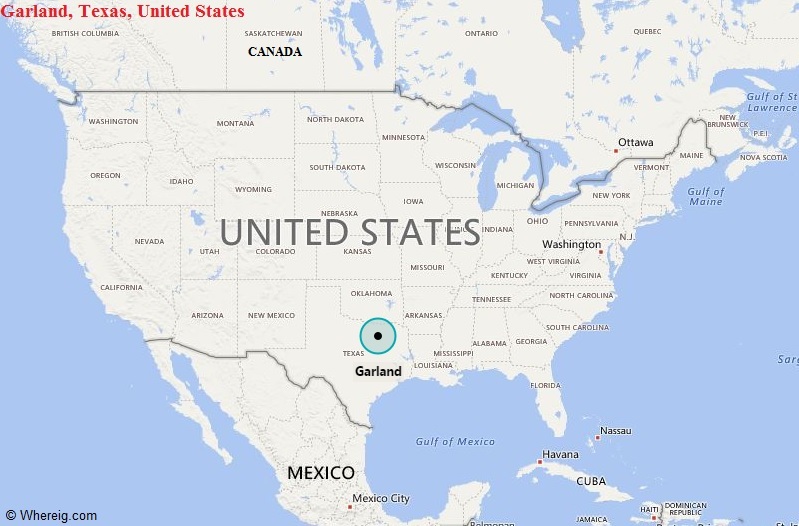 About Map: Map showing the Location of Garland, Texas in the US. Garland is located in the eastern part of the state. It is the twelfth most populous city of Texas state, and eighty-seventh most populous city in the USA.